Although some video game pundits were claiming that Nintendo’s glory days were over, mainly due to the failure of its ill-fated Wii U console and the fact that sometimes the company does itself no favours due to it underestimating demand for some of its star products like the new NES Classic Edition, it seems the Japanese company is now back with a vengeance. Actually, not only have Nintendo’s Amiibo figurines been wildly successful in recent times, but the company’s recent deal to bring Nintendo-themed attractions to Universal theme parks in the US and Japan could be very lucrative for the Japanese company, plus its new Switch console coming out next year sure is looking promising. And let’s not forget Nintendo’s deal with mobile video game company DeNA last year to bring some of its hottest game properties to the smartphone market, with the first Nintendo mobile game for smartphones, titled Super Mario Run, having been released recently. So will this new Mario video game for smartphones turn out to be as big a hit as Pokémon Go? Because it’s likely Nintendo was left with a bitter taste in its mouth after witnessing the success of Niantic’s game, a game it likely did not profit as much as it wanted to from due to the fact that the Japanese company is only part-owner of the The Pokémon Company, although it likely did still receive a decent share of the game’s massive earnings to date. Even if the Wii U failed, it still looks like Nintendo has a bright future ahead thanks to its new focus on mobile gaming with the likes of Super Mario Run and the upcoming Nintendo Switch console. 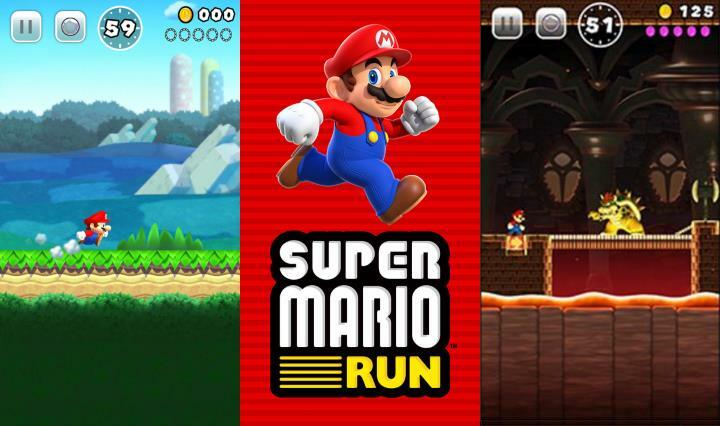 According to a report by intelligence firm Sensor Tower, though, it does not seem that Super Mario Run will come close to Pokémon Go when it comes to generating revenue, as this report shows that the new Mario smartphone game is expected to make slightly more than $70 million US dollars during its first month, less than half of what Pokémon Go made in its first month in the market. Of course, it’s unlikely Nintendo was expecting Super Mario Run to rival Pokémon Go when it comes to popularity, as Nintendo’s augmented reality game has been a worldwide success like no other, and people are passionate about Pokémon in a way they are not about other video game characters like Mario or Link. But still, it’s clear that Mario is still one of the most popular video game characters of all time, and that this video game franchise is one of the best-selling ever, so it’s likely Super Mario Run will be a smash hit either way. Plus Nintendo’s new focus on mobile with an upcoming series of smartphone games based on their most popular characters like Mario and also the “play anywhere” focus of their upcoming Nintendo Switch console could help it become a big player in the mobile gaming market, meaning the Japanese company could end up becoming a major player in the video game world again.